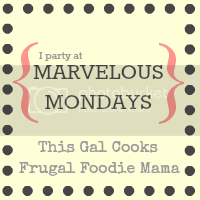 Easy Crockpot Mongolian Beef - Who Needs A Cape? 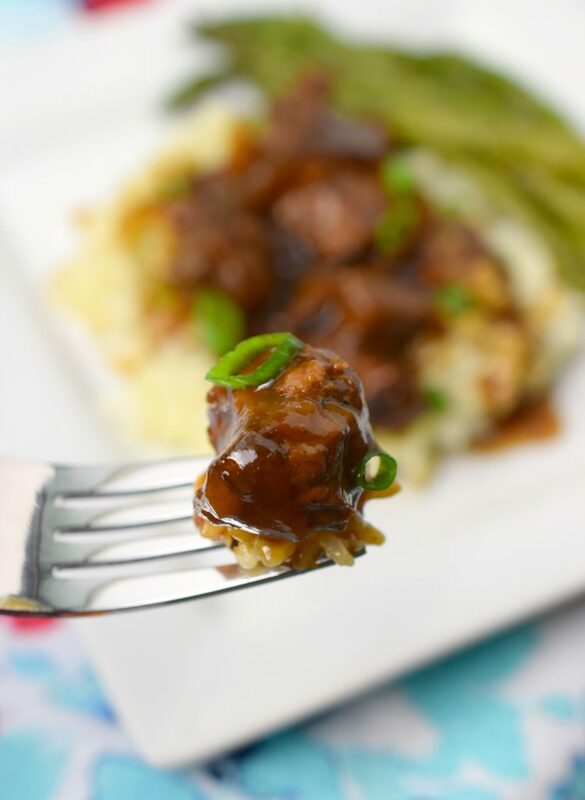 Easy Crockpot Mongolian Beef is a flavor-packed meal from your slow cooker that’s tender and delicious! This will be a family favorite after just one try! Yup, dinner…its hard to get it all together every single night? Whether you have babies, toddlers, teens, work at home, stay at home or work away from the house dinner time is a struggle! It’s my worst time you guys, I don’t want to go home and stress about making dinner. Two words – Freezer Meals!!! Have you tried them yet? I mean it’s life-changing! 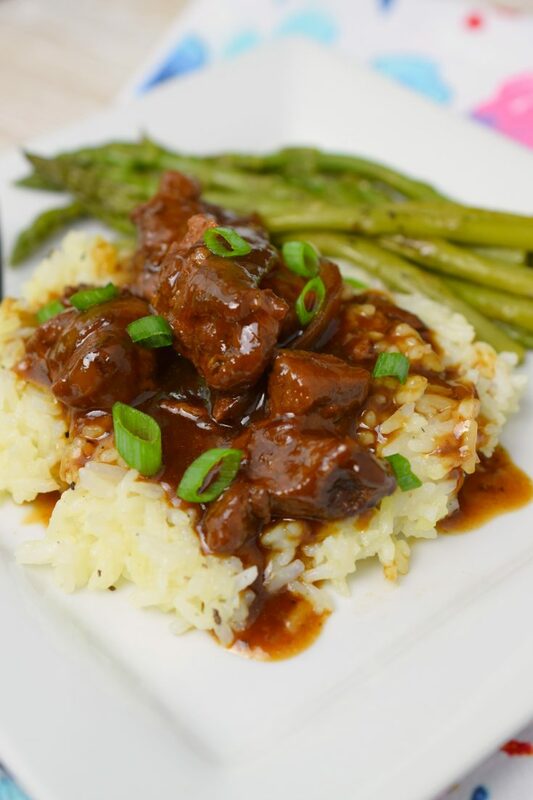 We’ve included Easy Crockpot Mongolian Beef as part of our 40 Meals in 4 Hours. Dinner for over a month, yes you read that right!!! 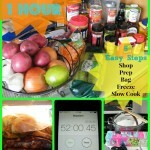 All of the meals get prepped in one afternoon! I LOVE FREEZER MEALS! Click HERE – you’ll be wowed! 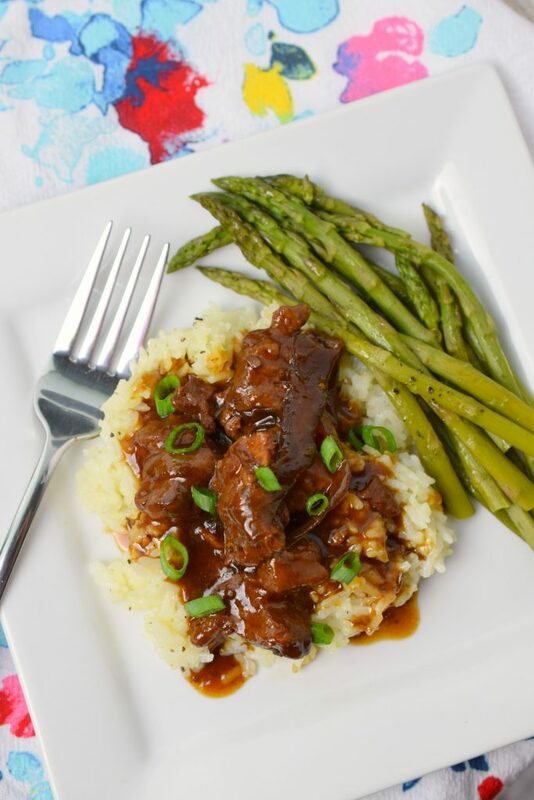 Easy Crockpot Mongolian Beef has tangy flavors that blend together to make a wonderfully flavored dish. 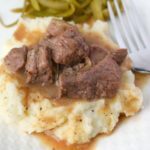 Stew meat is the basis for this simple dinner. 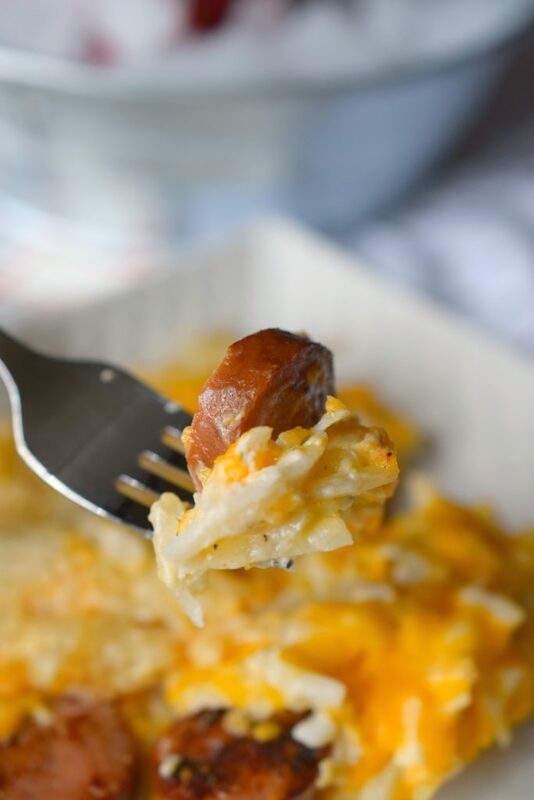 Trust me when I say this will be a dinner that goes into your menu rotation on a regular basis, it is truly a family favorite. If I am not preparing this as a freezer meal, I brown the beef prior to adding it to the slow cooker. 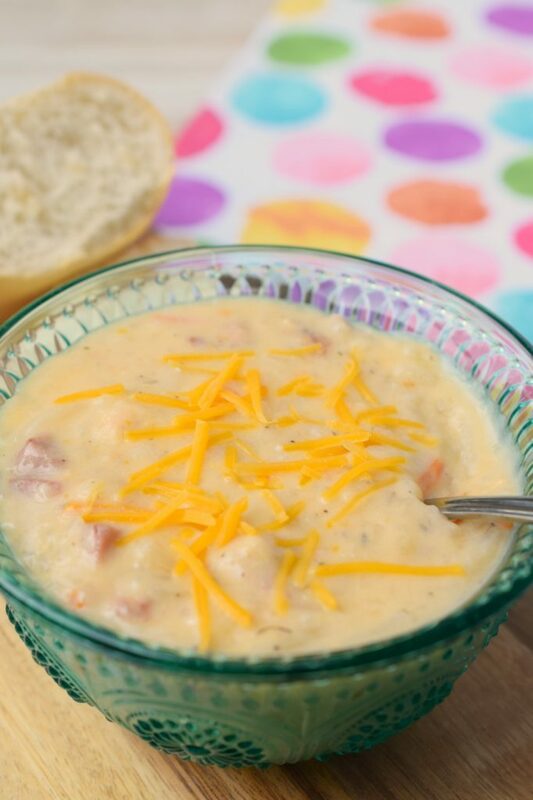 This recipe easily doubles to feed a larger family. Like a thicker sauce? Simply stir in a cornstarch & water mixture 30 minutes prior to the end of cook time. Spice it up with some red pepper flakes if desired. Use low-sodium soy sauce, you don’t lose any flavor! 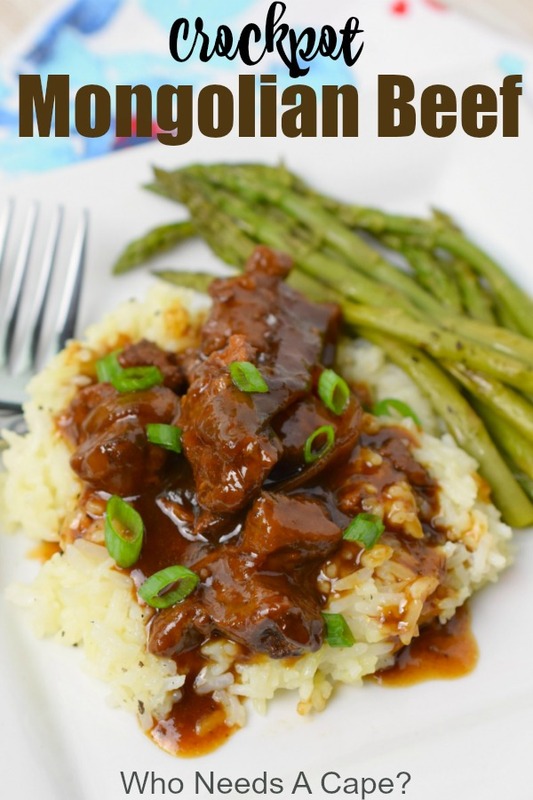 Easy Crockpot Mongolian Beef is a flavor-packed meal from your slow cooker that's tender and delicious! This will be a family favorite after just one try! 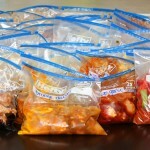 Freezer directions- dump all ingredients into a labeled freezer bag, seal, mix up, freeze flat. It's as easy as that! When you're ready to cook- take the bag out of the freezer the night before and let it defrost in the fridge. The next morning dump the bag into the crockpot and cook on low for 6-8 hours. If you're going to be longer just add a bit more water so it doesn't dry out. Serve with fresh slice green onions and rice. Yum! 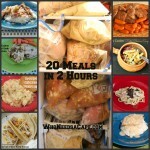 20 Meals in 2 Hours Slow Cooker Freezer Meals! This sounds tasty, but how much soy sauce did you use? It just says “1/2 soy sauce”. How many servings does this make? Did you have to double or triple recipe to feed your family? Do you brown the meat first? Also, do you slice the meat before you put it in crackpot? I do not brown the meat first and I used beef stew meat so it was already cut into about 1 inch chunks for me. So if you don’t buy stew meat, yes you’ll want to cut it up first :). 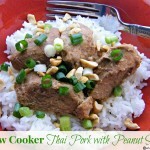 How many people would this (and your average crockpot freezer meals) feed? I’m wondering if I can make the recipes as is or if I need to adjust. Sure looks tasty! I feed 2 adults and 3 kiddos. One serving for leftovers usually too. Hope this helps! My crock pot crew just made this today. Really tender and delicious! I am going to thicken the sauce with a little cornstarch on the stove to get that sticky thick consistency. Great over noodles! if i doubled the recipe would the cooking time in the crock pot be the same? I honestly don’t know. I will have to do some research and get back to you. Anyone else have an answer? Lisa, Hoisin Sauce is a flavorful Asian dipping type sauce, found in the Asian food section of most grocery stores. Do you know of any websites and/or cookbooks that is good for extreme beginners? I am clueless, and don’t want to end up getting frustrated and wasting a bunch of food! Lisa – just follow the instructions on here – we go step by step 😉 You can do it! Be careful you don’t overcook. I don’t know if it is my crockpot or what. My husband turned it on low at 12:45. At 3:15 the meat was already “dry” and over cooked even though there was still plenty of juice left. I used 1.5 pounds of stew meat. The flavor of the meat and juice was VERY good. I saved it for future servings over rice with Asian noodles. Has anyone tried baking this in the oven? I think I’ll try this next time, maybe for about 30-45 minutes at 350 degrees. Hopefully, it is tender and moist. Definitely worth trying this recipe. I would definitely make this one again, but I think I’ll leave the brown sugar out. The hoisin sauce adds enough sweet for me. Also added fresh sliced mushrooms. Yum! Thanks for the recipe! If I do not plan on freezing the meal first, is it still necessary to cook it for 6 hours on low? I was just wondering since the original recipe from Allrecipes.com says to cook it for 4 hours on low. Would like to know which time to use since I’m not going to freeze the meal. Thank you! Made this last night for dinner and I must say I think 1 lb of beef stew meat was not NEARLY enough. I would probably triple it and also cut the meat smaller or buy chop suey meat instead. Also needed WAY more onions imo, and possibly add mushrooms and/or celery. The taste was AMAZING and my toddlers inhaled it, which is a feat in and of itself. Hubby also thought it was delish. I will FOR SURE be making it again! Thank you! Glad you were able to modify it to your own taste and preferences! Where can I find the hoisin sauce??? I looked thru 2 stores and couldn’t find it!! Help!! Can I use chickken I had everything ready for this and surprise i guess we left the meat at the store. I’m sure you could, let us know how it turns out! It was awesome with the chicken. We had boneless chicken thighs and now this is a favorite meal in my house. I cook it for 4 hours on high when i use chicken. This looks awesome. 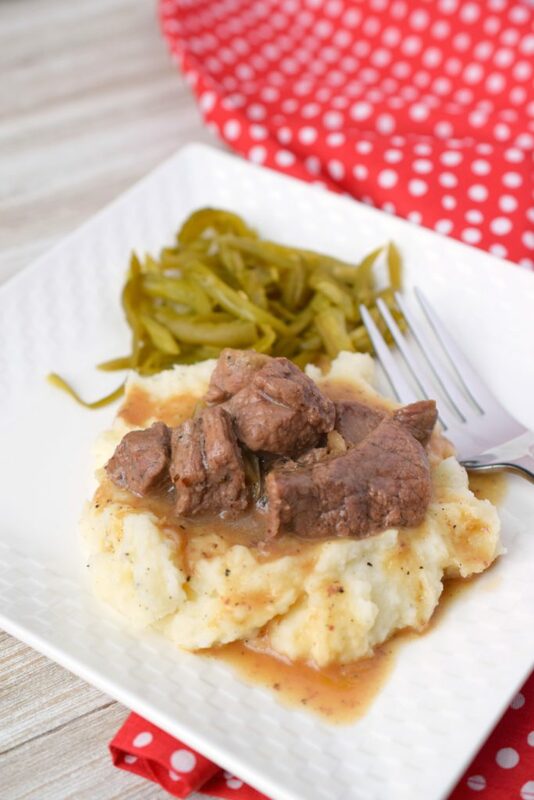 Sometimes I feel like there is hardly enough beef crockpot recipes to go around. But this looks really good. I had something very similar the other day but they called it Korean beef and actually used ground beef (but not in a crockpot). Korea is not too far from Mongolia. I made this without the hoisen sauce, but the flavor was amazing. These are so good, in fact very similar to Korean short ribs. Next time, I am going to make this using flanken ribs cut into 1 rib sections. Is it spicy at all? Mongolian beef is usually spicy. Just wondering if I should add peppers or if it already has a kick. You have a lot of great advice and recipes on here Thank you for posting them. Has anyone figured out the Points Plus value? 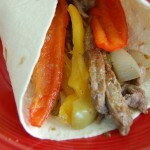 You can use flank for this recipe like normal Mongolian beef? I bet that would taste fantastic! I put all ingredients in the crock pot last night and what do you know I forgot to take it out of the fridge and turn on the crock pot! Can I cook this on the stove? I just turned off the slow cooker and snuck a bite of this one. Oh my goodness! So good! Thanks for sharing your recipe. I’ll definitely be making this one again! This sounds so good. Do you think it would be good to make in the slow cooker with a pot roast with potatoes, carrots, etc? I do I do! YUM Let us know how it turns out! Does this really just call for 2 tsp of olive oil? Other versions I’ve seen online use 2 tablespoons… anyone know? Thanks! Yup 2 teaspoons…if you feel more comfy using 2 tablespoons I’m sure that would be fine as well.